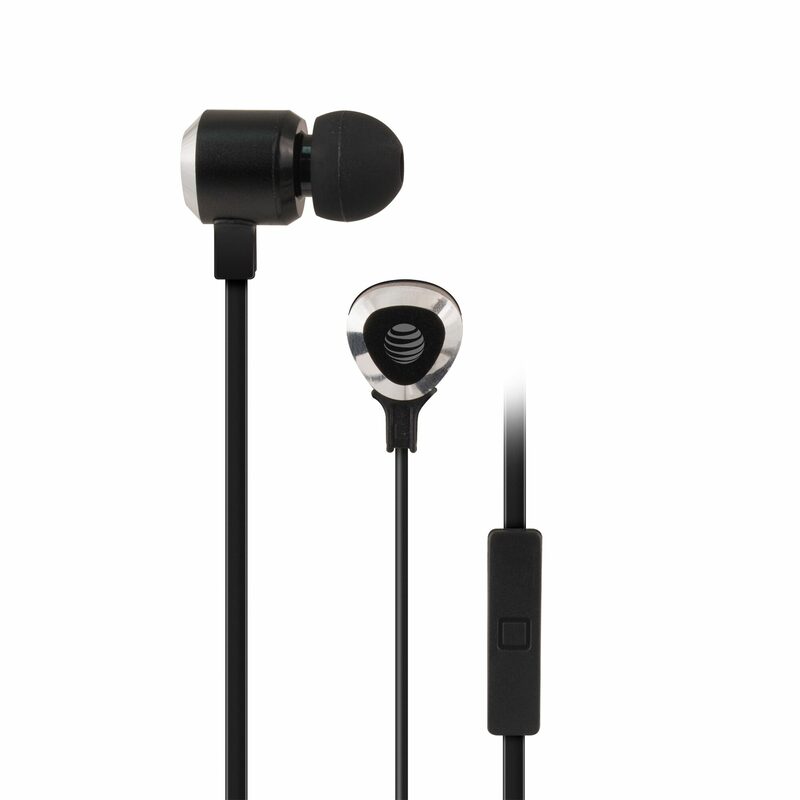 The SEB50 headphones have soft silicon noise reducing earbuds that provide superior comfort. Equipped with two dynamic drivers, one for bass and the other for ultra-clear mid-tones and treble, these headphones produce a true stereophonic effect with amazing bass. Designed for classic music, rock music, pop music or gaming - they deliver superb quality sound. The in-line mic gives the user the ability to answer calls or play or pause music with ease. Easily control phone calls and music with the touch of a button. The SEB50 headphones use gold plated 3.5mm jack to prevent sound loss. You can easily avoid the discomfort created by tangling of wires while using these headphones, as AT&T SEB50 has a flat tangle-free cable which doesn't get tangled. Special features for iOS devices: In iOS devices, you will also have the ability to skip to the next track or go back to the previous track and hold down the button activate Siri.